When is the last time you went horseback riding? Have your kids ever visited and seen what riding stables are all about? Well, if you find yourself in Pigeon Forge, Gatlinburg or Sevierville this year you just might want to pay a visit to Five Oaks Riding Stables across from the Tanger Outlet Mall at Five Oaks. This 70 acre nature park has some beautiful views of the mountains, especially Mt. LeConte. Your trail guides will lead you through our breathtaking Smoky mountains on a ride you won't soon forget. Just search Five Oaks riding stables in Google and look at the reviews folks have left us over the years, don't take our word for it. If you use the link below to "book now" you'll even save yourself some money and we all like doing that! Hope to see ya' soon! A family favorite, the NACAR SpeedPark of Sevierville, Tennessee is one of the area�s top tourist attractions offering 8 action-packed tracks! The Thrill Zone features five family rides, a variety of kiddie rides, an indoor climbing wall and playground, bumper boat rides, and more. A gift shop provides NASCAR merchandise and apparel, and the snack bar offers refreshments. The NASCAR SpeedPark will offer 4 new attractions this year. We specialize in birthday parties, group outings, team events and much more! 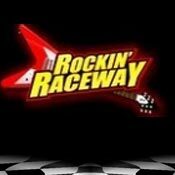 For more information, call (865) 908-5500 or log onto www.nascarspeedpark.com. 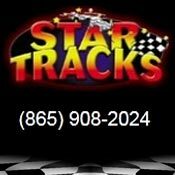 Race the FASTEST Pigeon Forge Go Karts at StarTracks of Pigeon Forge Known nationwide on the internet as one of the fastest go kart tracks at 40 MPH, you will love the difference speed makes when it comes to having fun! 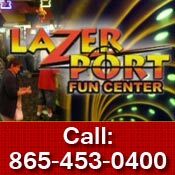 Besides Pigeon Forge go karts, we also offer arcade games and an awesome, multi-level lasertag arena. Our "road course" track is among the best in Pigeon Forge and we have many of the same customers year after year which tells us you love sliding around tracks at 40 MPH! If you've never been here, be sure not to miss the chance to race our Pigeon Forge go karts, get your lasertag game on or win prizes in our modern arcade! Scenic Helicopter Tours will show you from the majestic grandeur of Mount Le Conte to the pristine serenity of Douglas Lake, and gives you a Smoky Mountain experience unlike any other! Let Scenic's courteous staff take you on a family-friendly adventure of a lifetime. 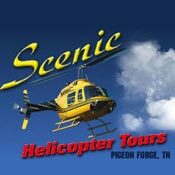 With rides starting at only $10.00 per person and up, Scenic Helicopter Tours makes that special Smoky Mountain get-away even more magical. Breath-taking aerial weddings, romantic mountain tours, kid-friendly experience rides or customize your own flight. Whatever you decide, Be sure to bring along your camera and prepare for an unforgettable experience! Don�t miss out on whitewater rafting on the Pigeon River during your Smoky Mountain vacation. 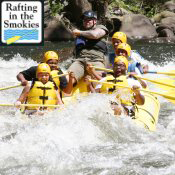 Rafting is the best way to enjoy the outdoor beauty of the Smokies. Choose a mild rafting trip or a more exciting whitewater expedition. Outdoor Adventures is perfect for couples, families, family reunions, church groups, or any kind of group that craves fun and excitement. 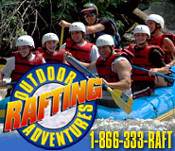 Located close to Gatlinburg, Pigeon Forge, Sevierville, and Knoxville, Outdoor Rafting Adventures will provide a fun and memorable rafting experience. 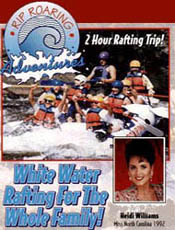 Experience the thrill of the Pigeon River with the oldest rafting company on the river. Allow our experienced guides to show you down the class III and IV rapids on the Upper Big Pigeon, or enjoy a calm float trip on the Lower section. Call for special group rates. Designed like an old fashioned juke box outside, you can't miss this fabulous arcade filled with so many things for kids to do. The games and video action rides inside will help them to totally forget about school for a while (yuck!) and let them feel the freedom of being the true game masters that they are. It's a known fact that the military needs the fast hand-eye coordination that these games develop and you just might have one of the next 5 star generals in your family! Don't hesitate as they come back for more tokens because this is their chance to shine as they show mom and dad how truly awesome they are! 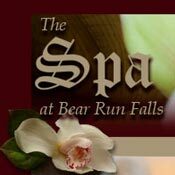 The Spa at Bear Run Falls caters to both men and women, offering thoroughly personalized services according to the specific needs of each client. We encourage our clients to leave behind the bustle of the city for a unique and unforgettable experience. Call for your appointment 865-908-1342 Receive 10% off your first visit with this add. Appointment only. Available on all services. Come experience a rejuvenating facial, a relaxing full body massage, a refreshing body treatment, a luxurious manicure and pedicure, or one of our many other spa packages. All treatments are performed by licensed therapists in a peaceful mountainside retreat. You�ll love being enveloped in the cozy, welcoming environment as your stress melts away! Contact us by phone at 800-368-6615 or 865-453-6650 or visit our site! Golf the courses at Patriot Hills Golf Club and Dandridge Golf and Country Club! Located only 30 minutes from Pigeon Forge off I-40 at Exit 417. The 27-hole course at Dandridge (865-397-2655) costs only $31 during the week and $36 on weekends and holidays. The par 72 course at Patriot Hills (865-475-4466) offers a weekly rate of $33 and costs $40 on weekends and holidays. Laser Port Fun Center Lazerport offers you the newest & tallest "Roller Coaster Style" go cart track in Tennessee, the largest & most exciting laser tag arena, 18 holes of an all indoor, all black light mini golf course, over 10,000 square feet of extreme action & redemption arcade games & Sweet Sensations - old fashioned ice cream parlor with hand dipped cones, sundaes, shakes, banana splits, funnel cakes and deep fried Oreos and Twinkies. The newest rage in mini golf is all indoor, climate controlled Black Light Golf, and you can only play it here at Lazerport. Relax and unwind in our HUGE 10,000 sq. ft. video action and redemption arcade. ALL ABOARD! 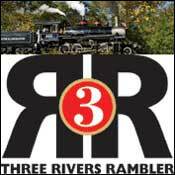 Enjoy a 90 minute, 11 mile excursion train ride along the Tennessee River aboard the historic Three Rivers Rambler. Our journey starts in Downtown Knoxville and is fun for all ages. Passengers can ride in our air conditioned coach car or outdoors to enjoy the weather. Restrooms and gift shop on board. Ask about our Engine Cab rides or Engineer for a Day program. Special trains include Pumpkin Express, Christmas Express, and Circus Train (new for 2007). 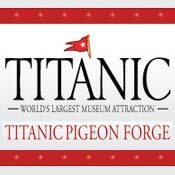 The famous Titanic ocean liner has been resting at the bottom of the Atlantic Ocean for almost 100 years, but in 2010, visitors to Pigeon Forge will get to experience for themselves the magnitude and the beauty of this legendary ship. The tragic story of Titanic has been with us for more than 100 years. It is more than just the account of perhaps the most memorable maritime catastrophe of the 20th century. Titanic is a lasting symbol of the great age of immigration that brought the hopes and dreams of many people to our shores. The Titanic Museum Attractions want to promote the awareness and knowledge of the world's diverse cultures by recreating actual rooms of the Titanic and by displaying actual objects that bring to life individuals and events that have had a significant impact on human history. It is our desire to present the Titanic story in a historically accurate and reverent manner and to inspire further study and research into this event. Teaching and learning opportunities abound as you and your students explore the World's Largest Titanic Museum Attractions in Branson, Mo. 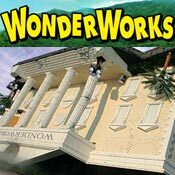 and Pigeon Forge, Tn. Throughout the school year, link the Titanic experience to your curriculum and reinforce your students' skills and help them develop proficiencies in areas beyond history. 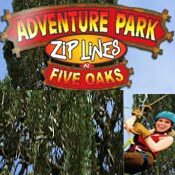 For riding stables and ziplines near Gatlinburg visit Adventure Park at Five Oaks across from Tanger at Five Oaks mall. How can you beat a day of exploring the beautiful Smokies on horseback? This 70 acre adventure park will soon offer not only horseback riding for visitors to Pigeon Forge, Gatlinburg, and Sevierville but ziplines too starting in early June. 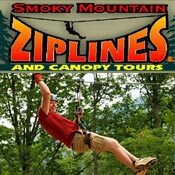 The Great Smokey Mountain area offers breathtaking views, especially while horseback riding on it's trails or riding ziplines above the canopy of it's native trees! After you've had enough of shopping on your vacation and start looking for new Pigeon Forge attractions, keep us in mind for a safe, new adventure your entire group or family will love!